Blue roses do not occur in nature; in art it is said they symbolize mystery or the possibility of attaining that which seems impossible. 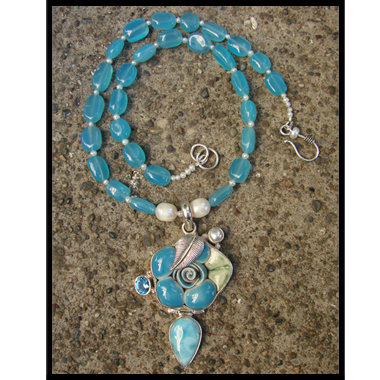 At the center of this sterling silver pendant is an antique glazed porcelain rose accented on one side by a faceted blue topaz and a blue luster sea pearl on the other. 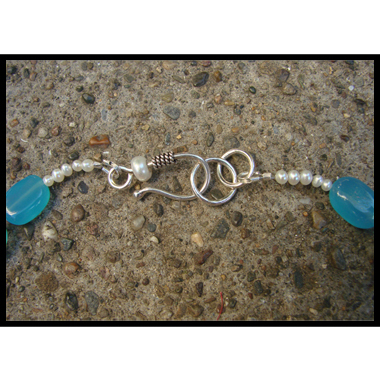 Floating below on a hinge is a perfect Caribbean blue larimar drop. 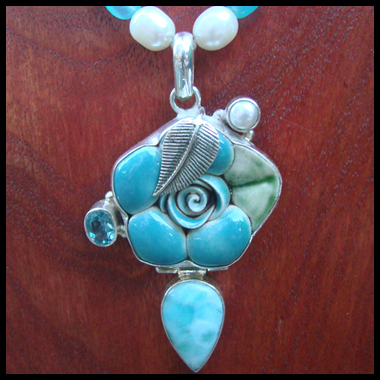 Larimar is a rare form of Pectolite that occurs only in the Dominican Republic. Although the color is created by volcanic activities, it seems to exquisitely embody the serene beauty of the surrounding sea and sky and thought to have calming effects on body and soul. 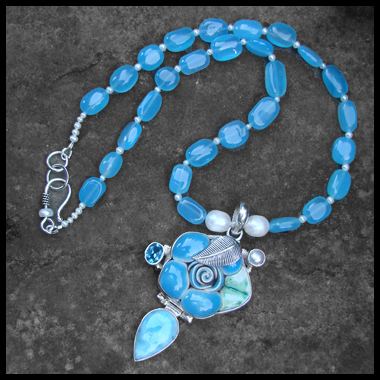 The necklace is strung with beautiful matching blue chalcedony separated by tiny genuine freshwater pearls.